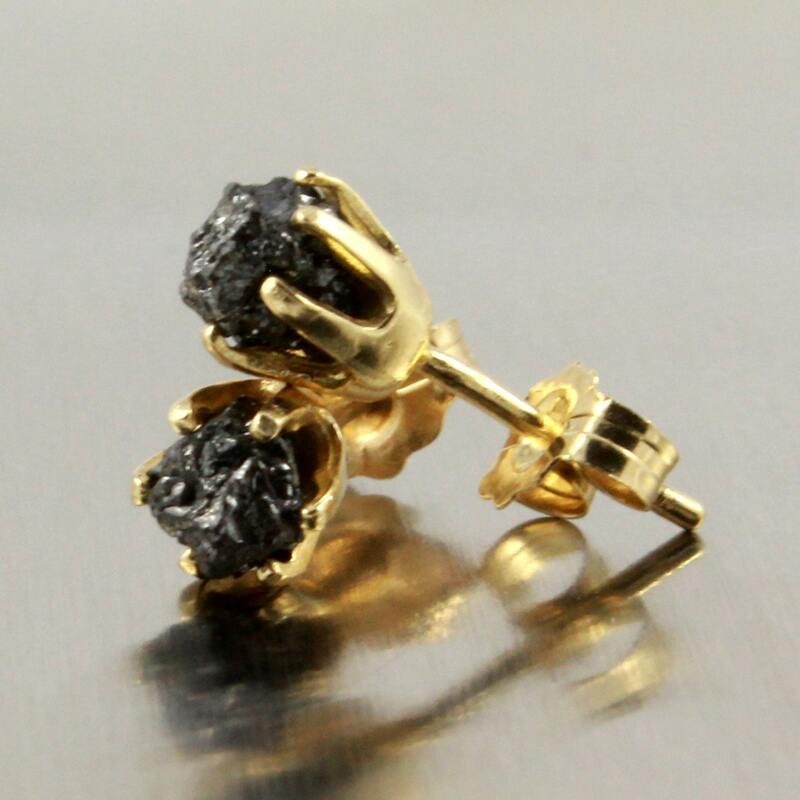 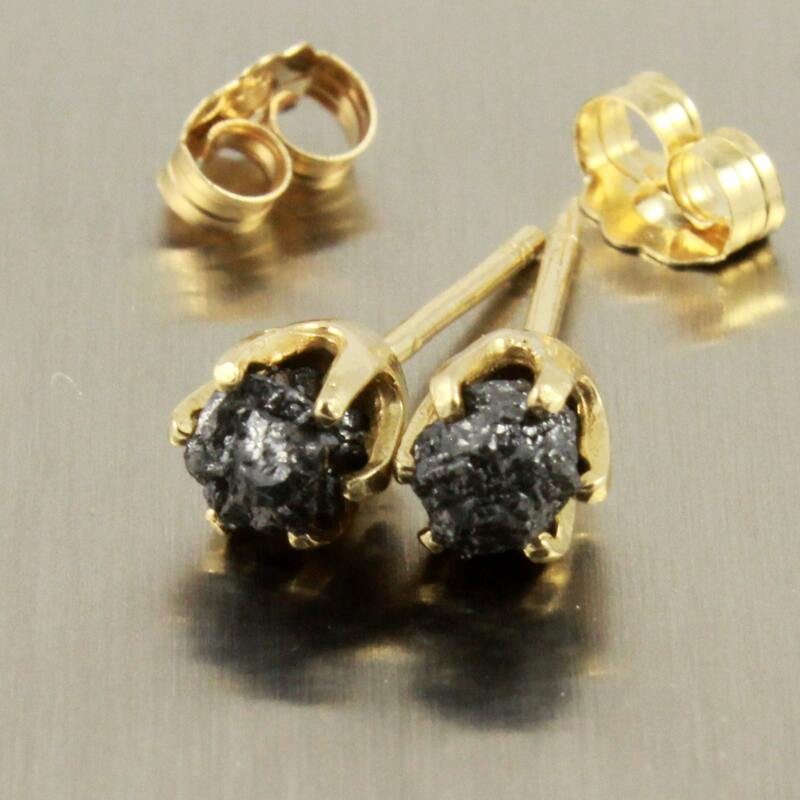 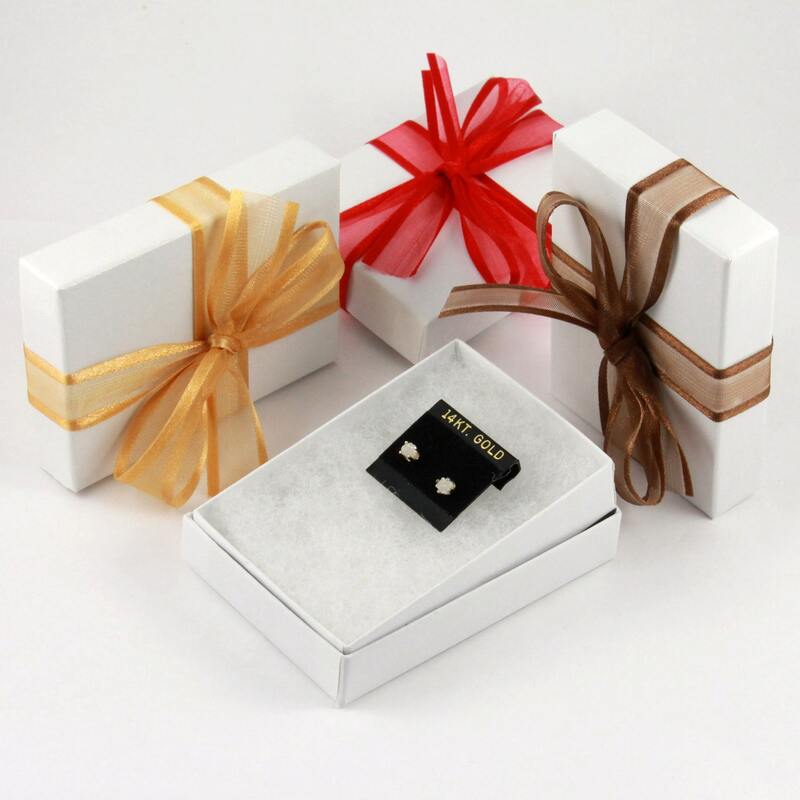 This listing is for my larger size 14K Gold ear studs that feature jet black Rough Diamonds. 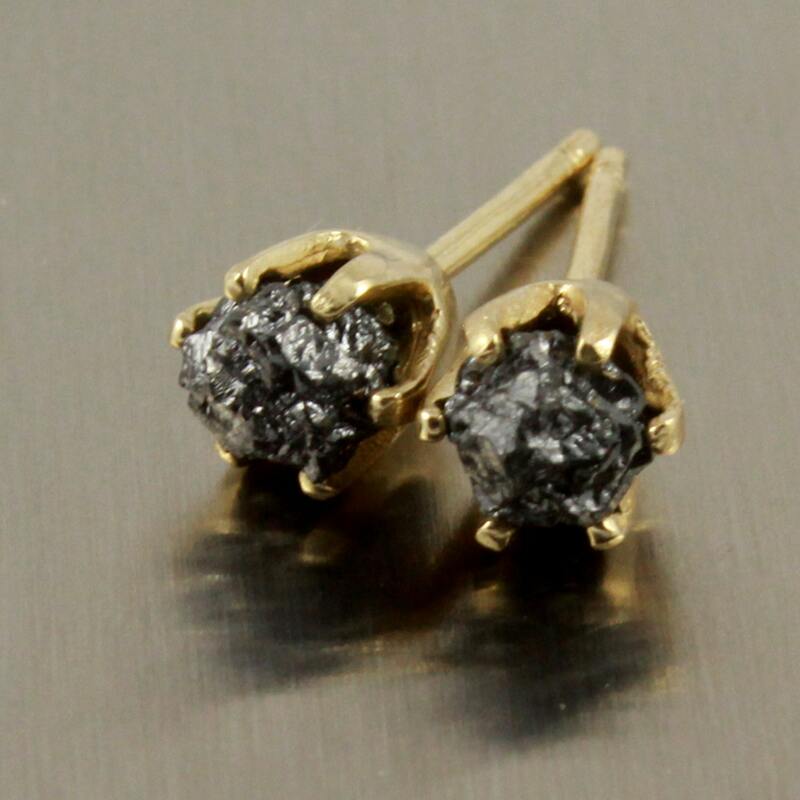 These classic and precious diamonds are set on 5mm posts. 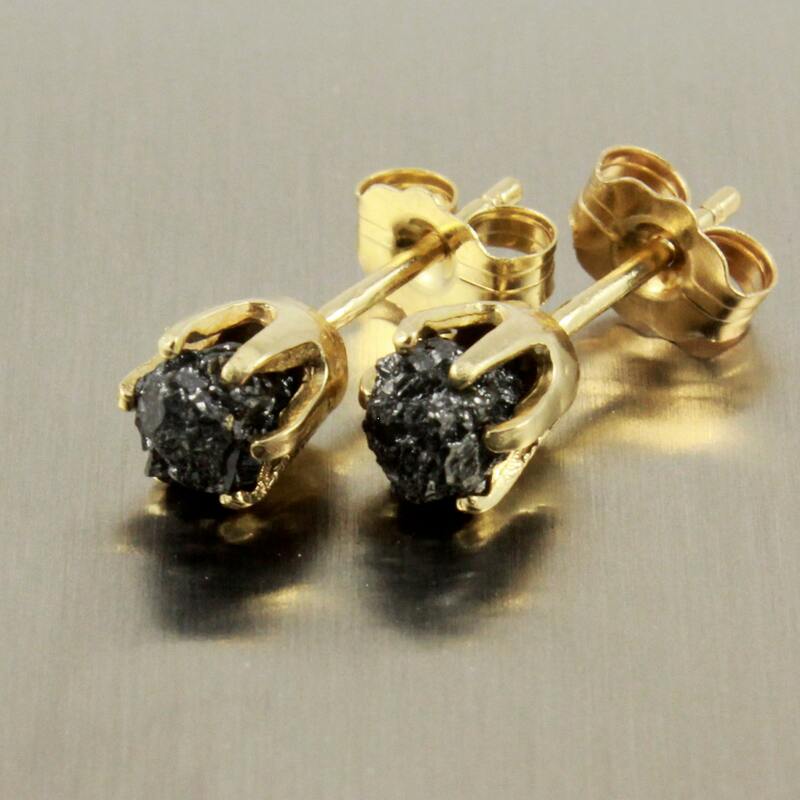 Since the diamonds are natural and unfinished, they may slightly vary in size and shape set on the pair.